There are so many great things I love about my God. I love how he caters to our own personal needs, helps us out our mess, cleans us up, carries us when times get hard. While he’s doing all that somehow he finds time to raise and set the sun, create and calm storms, keep the universe in motion, give orders to the angels, and bind the devil and his minions. 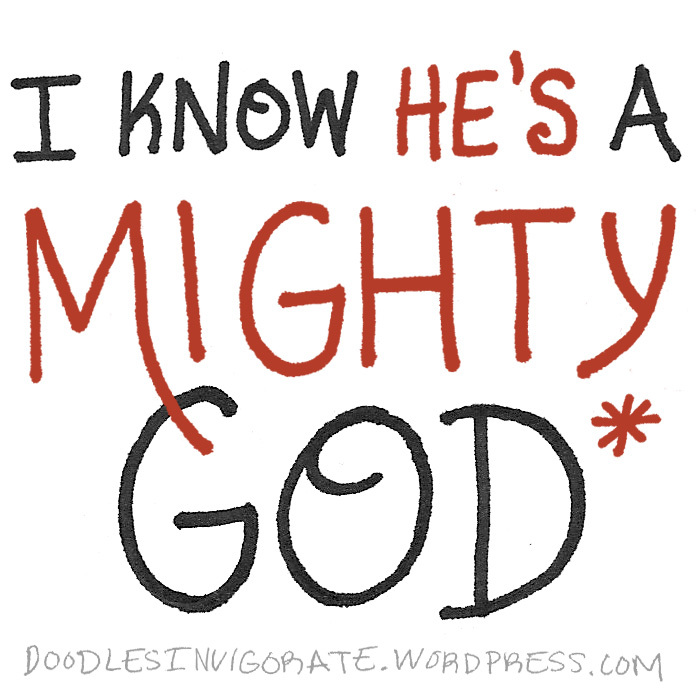 He’s mighty! Praise the Lord! You inspire me with how you share so much about God and how awesome He is. I agree. He has taken such great care of me for years. There are times I don’t understand why certain things are happening or how things are not going my way but later on to find out He had a different plan and so much of the time it’s better than what previously had been rejected. I’m glad you are inspired! God has been showing the same to me. The process is uncomfortable and stinky but once I get through I have a “AHH HAA” moment. You are so right, his way has better results and strengthens us. I’m trying to learn to stop fighting God and go with the flow. Wow! Thanks I am truly honored!